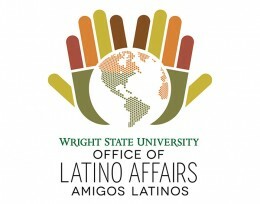 Wright State’s Office of Latino Affairs will celebrate Hispanic Heritage Month Sept. 15 to Oct. 15. Wright State University has always been a cultural hub teeming with nationalities from around the globe. But every year, more and more Latin American students, staff and faculty appear on campus, each bringing with them centuries-old traditions that reflect the ethnic and cultural customs of their communities. From Sept. 15 to Oct. 15, Wright State will join the rest of the country in celebrating the rich culture of Latinos with Hispanic Heritage Month. “Hispanic Heritage Month is all about exposing the community and the university to our culture,” said Tony Ortiz, associate vice president for Latino affairs at Wright State. Aida Montes, the graduate assistant for the Office of Latino Affairs, said the Hispanic Heritage Month activities and events will inspire all attendees. Ortiz said all friends (amigos) and community members are welcome to join the Office of Latino Affairs in its celebration of Hispanic heritage. All events are free. Celebrate the start of Hispanic Heritage Month with music, dance lessons, live broadcasting from “La Mega,” Latino food from Antojitos Criollos and a piñata-making presentation. The Office of Latino Affairs and the Office of Human Resources invites all students, staff, faculty and community members to an interactive two-hour workshop designed to generate thought and discussion about the colorful local Latino communities. Nairoby Otero is an actress, writer, producer, speaker and first-generation Cuban-American. She has been called “an absolute delight” by critics. Her work has been praised in various publications, including the New York Daily News. Otero’s speaking career began after she campaigned nationwide for Hillary Clinton, then John McCain in 2008. Following this, she began speaking out against sexism and hatred, the discouragement young women face from achieving success. Otero’s lecture is sponsored by the Wright State University Presidential Lecture Series. The Office of Latino Affairs invites you to a night filled with music, poetry, dance, food and art. 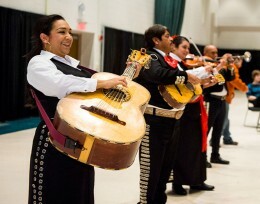 The event is designed to showcase a variety of talents found within the local Latino community. The Office of Latino Affairs is thrilled to partner with the College of Engineering and Computer Science in welcoming future Raider Latino students to campus for a day to learn about the engineering profession and to interact with current Latino engineering professionals in the local community.